The dermatopathology service has approximately 27,000 accessions per year, including specimens from clinics and operating rooms at the University of Michigan, specimens from our MLabs outreach referral clients, outside consultative cases, and direct immunofluorescence specimens. Development of a Dermatopathology Research Molecular Laboratory is in progress. Professor of Pathology and Dermatology, Director of Dermatopathology Section, former Director of Dermatopathology Fellowship. Dr. Fullen received his M.D. degree from Emory University in 1990. After an active duty stint in The United States Navy as a General Medical Officer serving in the 2nd Marine Division, he completed a residency in Anatomic and Clinical Pathology at the University of Michigan followed by a fellowship in dermatopathology at New York Hospital - Weill Cornell Medicine. He has been on faculty at University of Michigan since 2000. Dr. Fullen’s research interests include cutaneous neoplasms, molecular underpinnings of melanocytic tumors, and inflammatory diseases of the skin. He has authored or co-authored over 120 peer-reviewed papers, 90 abstracts, multiple textbook chapters, a "Handbook of Direct Immunofluorescence: A Pattern Approach to Skin and Mucosal Biopsies", and contributed to multiple entities in the recent 4th edition of the WHO Classification of Skin Tumours. He has served on multiple editorial boards and multiple committees of the American Society of Dermatopathology (ASDP), including former Chair of the Mentorship Committee and current Vice Chair of the Ethics Committee. Professor of Pathology and Dermatology, Dr. Lowe was awarded the 2013 Walter Nickel Teaching Award by the American Society of Dermatopathology (ASDP). This is an extremely competitive and highly prestigious award that reflects Lori’s recognition by her peers as a national and international leader who is a superb practitioner, clinician scientist, and educator. Associate Professor of Pathology and Dermatology, Director of Dermatopathology Molecular Research Laboratory, Director of Dermatopathology Fellowship. He is board certified in anatomic and clinical pathology and in dermatopathology. Dr. Andea is the author of over 40 peer-reviewed publications and over 100 abstracts, mainly in the field of dermatopathology. He is a member of the CAP Dermatopathology Anatomic Site Specific Committee and of the CAP Surgical Pathology Committee and a member of the ASDP Finance Committee . Associate Professor of Pathology and Dermatology (fellowship training in soft tissue pathology). He was Chief Resident in Anatomic Pathology at the Cleveland Clinic in 2002 - 2003. Dr. Patel's specialties and interests are: Immunohistochemistry; Soft Tissue Neoplasms; Skin Neoplasms; Sensitivity and Specificity; Differential Diagnosis; Biological Tumor Markers; Fluorescence In Situ Hybridization; Prognosis. Dr. Patel is the author of over 40-peer-reviewed publications and has directed courses on soft tissue pathology and dermatopathology at the American Society of Dermatopathology and the United States and Canadian Academy of Pathology. Dr. Patel is a member of and a member of the ASDP Finance Committee. Assistant Professor of Pathology and Dermatology (board-certified in hematopathology) Dr. Hristov recieved her M.D. degree from the Johns Hopkins University School of Medicine, Baltimore, MD in 2004. Dr. Hristov is recipient of the Joseph C. Eggleston Research Award from John Hopkins University School of Medicine in 2007 for HMGA1/HMGA2 and COX-2 expression in Pancreatic Duct Carcinoma and Pathology Young Investigator Clinical Research Award in 2006. Dr. May Chan obtained her medical degree from the State University of New York at Buffalo and was a Howard Hughes Research Scholar in 2005-2006. She then received residency training in Anatomic Pathology at Beth Israel Deaconess Medical Center in Boston, followed by a Dermatopathology fellowship at Harvard. She joined the University of Michigan in 2011 and is currently an Associate Professor of Pathology and Dermatology, and the Director of Immunohistochemistry. Dr. Chan serves on the editorial board of the Journal of Cutaneous Pathology. Her research interests mainly lie in the areas of melanocytic proliferations and inflammatory skin diseases. She is the author/co-author of over 50 journal publications and the book, "Handbook of Direct Immunofluorescence: A Pattern-based Approach to Skin and Mucosal Biopsies". Assistant Professor in Pathology and Dermatology; Associate Director, Dermatopathology Molecular Diagnostic Laboratory; Co-Director, Rogel Cancer Center Tissue and Molecular Shared Resource. After receiving his M.D. and Ph.D. at the University of Alabama at Birmingham, Dr. Harms came to the University of Michigan Health Systems (UMHS) for residency training in Anatomic Pathology. 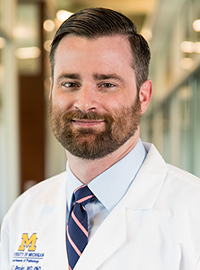 During his residency and subsequent Dermatopathology fellowship, he became interested in genomic and mechanistic studies of cutaneous malignancies. Upon completion of his fellowship in June 2012, he accepted a position at Michigan Medicine with joint appointments in the Departments of Dermatology and Pathology. Dr. Harms is a recipient of the Dermatology Foundation 2013 Research Career Development Award. Dr. Scott Bresler received his undergraduate degree from Miami University, Oxford, Ohio in 2006 and his PhD and MD degrees from the Perelman School of Medicine at the University of Pennsylvania, Philadelphia, Pennsylvania in 2011 and 2013, respectively. This was followed by a residency in Anatomic and Clinical Pathology at Brigham and Women’s Hospital, Boston, Massachusetts, and Dermatopathology fellowship at Harvard Medical School. 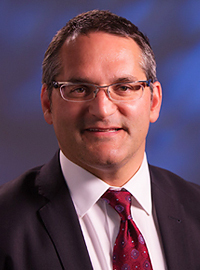 Dr. Bresler is board certified in Anatomic and Clinical Pathology and Dermatopathology. He joined the faculty of the Departments of Pathology and Dermatology at the University of Michigan in 2018. His research interests are mainly in the areas of inflammatory skin conditions, melanocytic lesions, and basal cell carcinoma.